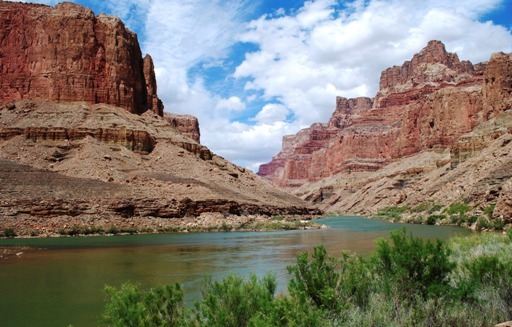 DENVER (CN) – The gushing voice of the Colorado River will not be heard in court any time in the near future, after a federal judge dismissed a lawsuit Monday aimed at establishing personhood and constitutional rights for the ecosystem. Filed in September with environmental group Deep Green Resistance listed as one of the river’s next friends, the lawsuit against the state of Colorado sought to give the Colorado River ecosystem the same constitutional protections offered to ships, ecclesiastic corporations and standard commercial corporations. Though the river’s self-appointed attorney asked to have the case dismissed, he does not consider the cause dried up. While Flores-Williams acknowledges his case had little impact on the legal system, he believes it brought Douglas’ doctrine back to national attention. Along this vein, Deep Green Resistance seeks to further the rights-of-nature movement – though its exchanges with the state of Colorado in the river’s case indicate the going may be turbulent. In a Nov. 16 letter, a Colorado assistant attorney general warned Flores-Williams to voluntarily request to dismiss the case with prejudice or face sanctions for knowingly presenting false or unwarranted claims to the court. The state followed up with a second motion to dismiss the suit last week, arguing a lack of constitutional standing, the complaint was based on “hypothetical future injuries,” and only Congress can appoint individuals to represent the river. Two days later, Flores-Williams moved to dismiss his case, which the court granted Monday without further comment. Flores-Williams is back making his weekly trek into the mountains, and though this case is closed he says his work is far from done.